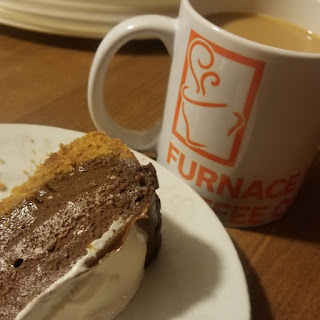 I'm having some chocolate cheesecake with my coffee, in honor of the hubster's birthday celebrated this week. Homeschool news . . . Despite the snow day two weeks ago and Thanksgiving last week, there was still a bit of a last minute scramble to get homework done before co-op class yesterday. And there were a couple of things that didn't even get done! To be fair, one item was sort of a last minute addition to the expectations for her Speech class - late Tuesday Kennady found out she was supposed to have some kind of handout to accompany the speech she was preparing. 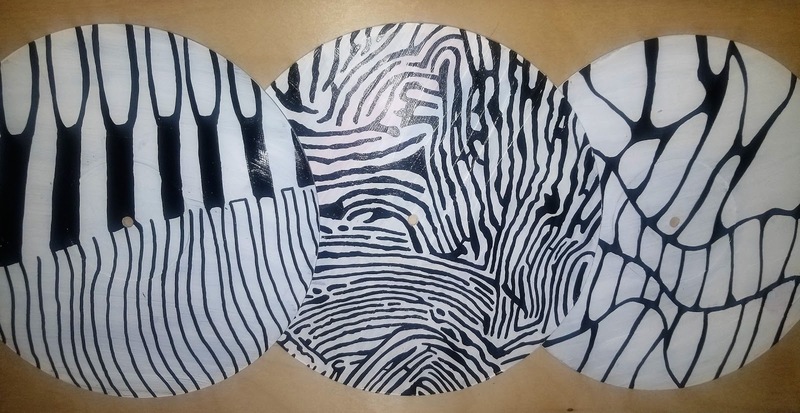 Well, she had already been having trouble getting the speech ready, cycling through the ideas she had until she finally settled on a thesis that she was happy with, so she didn't even finalize the speech until Wednesday afternoon. Needless to say, her handout did not happen. Also she forgot to give me the essay that was due for History class, so unfortunately I'll have to knock off some points for that being late. In the interest of full disclosure, I was also up way too late on Wednesday making sure I was prepared to teach at co-op. I'd re-written my lesson plan on the snow day, but hadn't looked at it since, so I really had to refresh my memory! Other news . . . Kennady and I did some shopping on Saturday - none of it was Christmas gifts though! I've just now started to think about Christmas shopping, which is not my favorite thing. I find it a little stressful, to be honest. On Sunday evening we went out for dinner to celebrate the hubster's birthday, which was actually during the week, but we knew there wouldn't be a chance on a weeknight. He chose a barbecue place we hadn't tried before, which was pretty good. I baked a chocolate cheesecake (his birthday cake request every year) that we've been enjoying during the week, and he did get presents on his actual birthday. 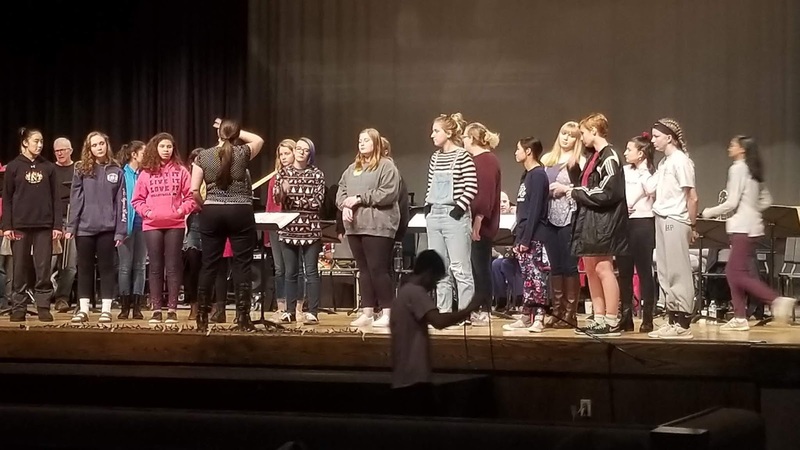 On Monday and Tuesday, my choir performed our Christmas concerts. 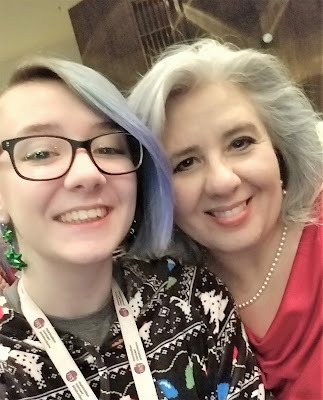 On Monday evening, Kennady came to hear it, and we got our obligatory mother-daughter "Year of Music" selfie. We fit in work and worship team practice as usual, and on Thursday evening I got a preview of Kennady's chorus as I took her to dress rehearsal for the Big Band Merry Christmas show they are part of on Saturday evening. What I'm Highlighting . . . The winners of the Blue Ribbon Award for 2018! 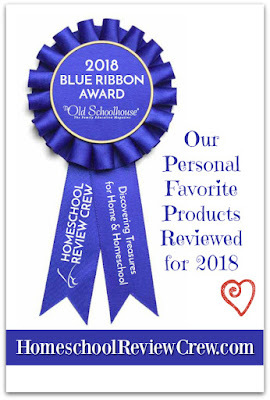 At the end of the Homeschool Review Crew year, Crew members are asked to vote for their favorite review products in a bunch of different categories. The results are revealed today on the Homeschool Review Crew blog and Crew members are also sharing their personal favorites from the year. With so many different kinds of products reviewed, and with so many ages and grades and homeschool styles represented by the Crew, winners are hard to pick. 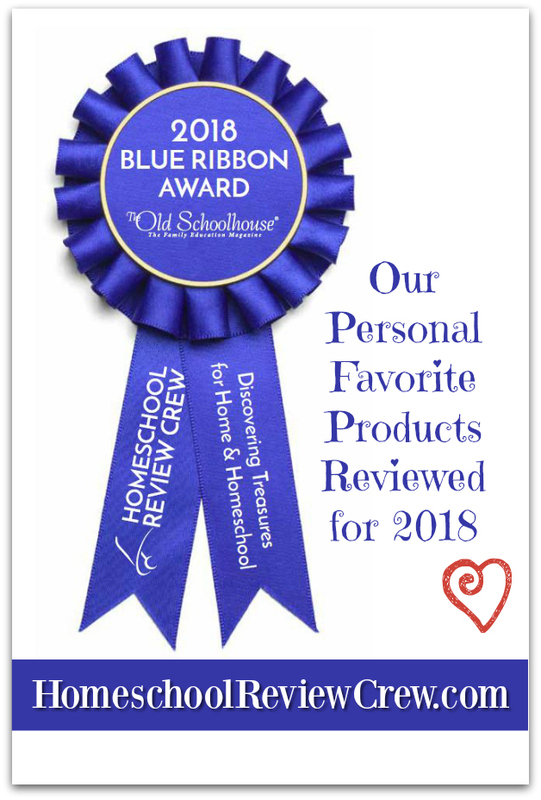 A big thank you to the leaders at The Old Schoolhouse® and the Homeschool Review Crew for giving homeschool bloggers the opportunity to try out these products; and to all the vendors for sharing their products with us. 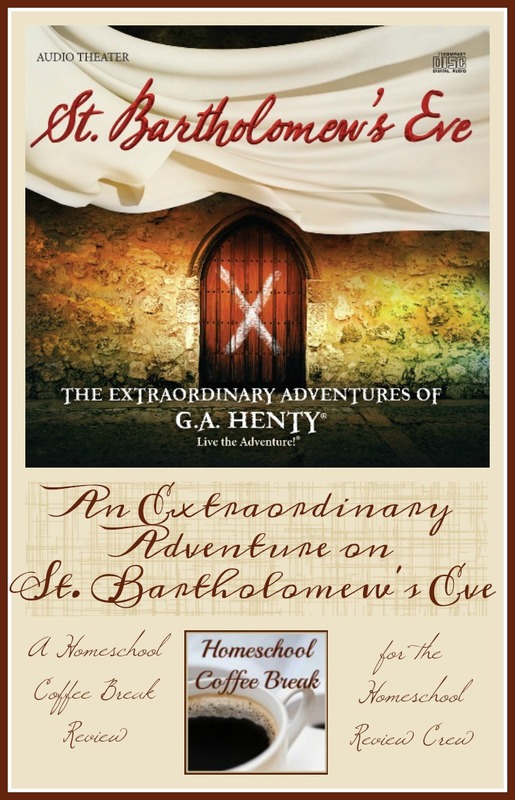 We love being able to spread the word about these great finds, and connecting other homeschoolers with these resources! 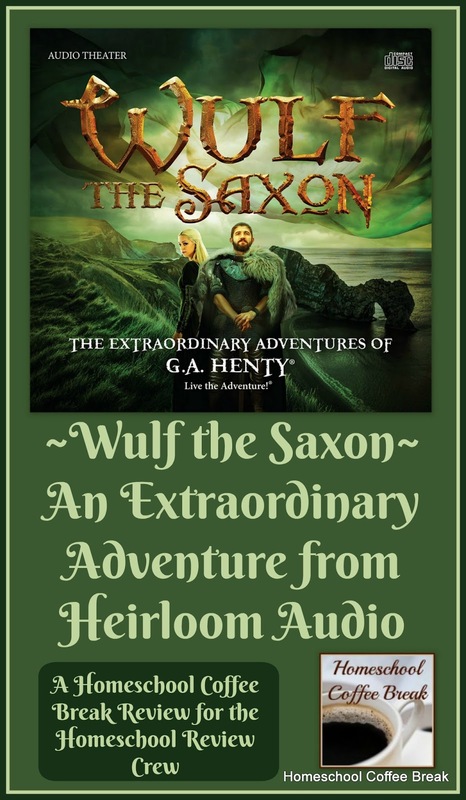 Wulf the Saxon - An Extraordinary Adventure from Heirloom Audio and An Extraordinary Adventure on St. Bartholomew's Eve - We still especially like reviewing audio dramas from Heirloom Audio. There's just something about a good story told well that captures our attention, no matter what our age! 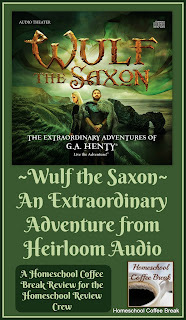 And Heirloom Audio certainly knows how to tell good stories! We bookended the year by reviewing Wulf the Saxon which takes place in England just before the Norman conquest; and the newest, St. Bartholomew's Eve, which takes place in France during the French Wars of Religion when the Huguenots were being persecuted. 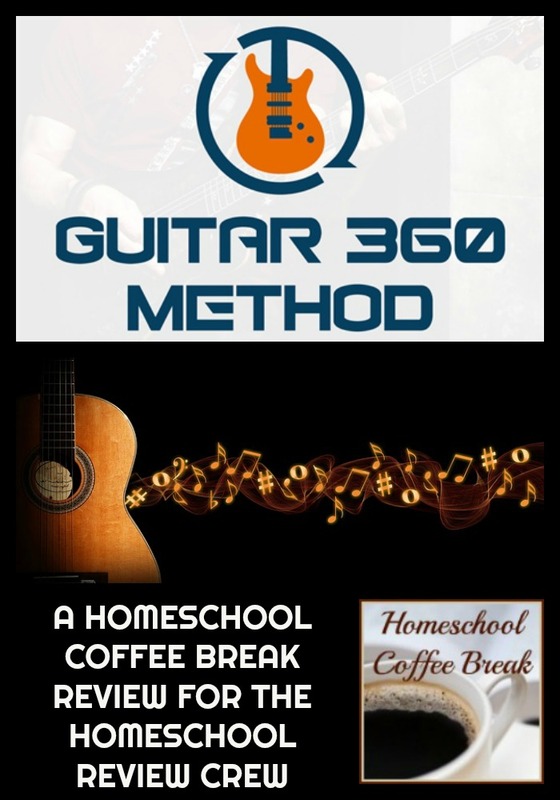 Guitar 360 Method - I think this 13-week self-paced course is fantastic, and although Kennady still prefers her in-person guitar lessons, we agree that Guitar 360 Method is top-notch! It's more than just the basics of playing guitar. 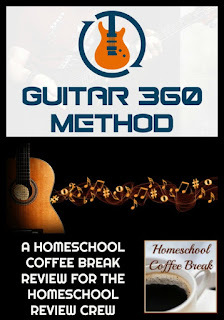 It's a practical and comprehensive course that teaches chord shapes, fingerstyle, strumming patterns, and music theory while encouraging students to develop their own creative skills and ability to hear and identify notes and chords. 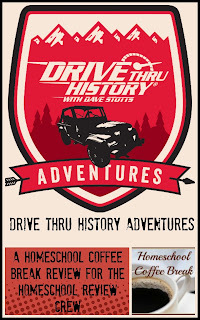 Drive Thru History Adventures - Personally, I just love these videos for the entertainment value! Plus I love history, and Dave Stotts makes it so much fun to learn! 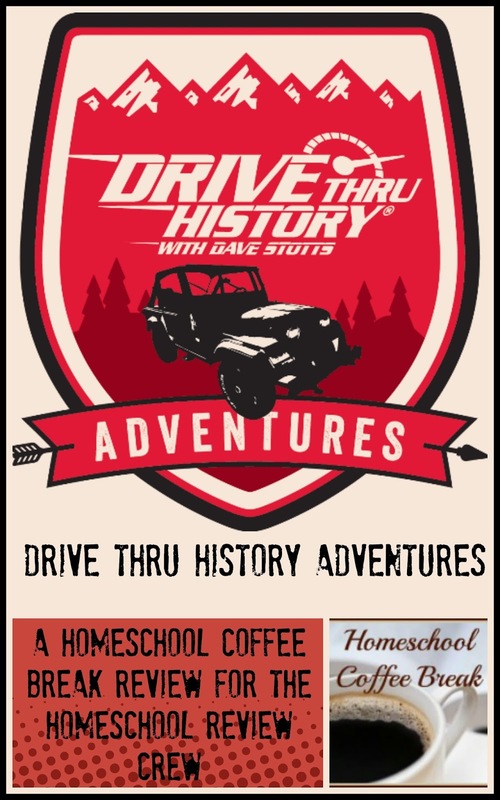 The addition of the curriculum and a bunch of extra resources in one fun and convenient website makes Drive Thru History Adventures a subscription website that's worth checking out! 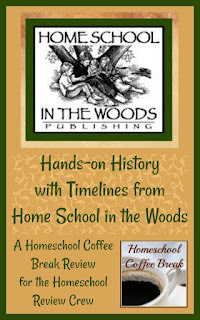 Hands-on History with Timelines from Home School in the Woods - This was a bit of a surprise favorite for us. 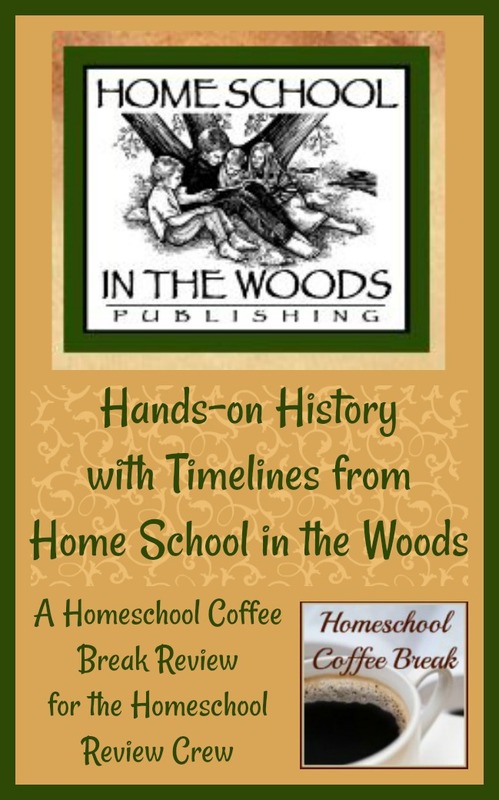 We were familiar with Lap-Paks from Home School in the Woods but this year we picked out a timeline from their line of A La Carte Projects, and found it to be a fun supplement to our history when we reviewed A Timeline of World War II during the summer. Homeschool Diploma - Celebrating Homeschool Graduations - It was a real treat to be able to order a beautiful diploma from Homeschool Diploma for a review last spring. They provide high quality personalized items like diplomas, announcements, and class rings; and products like caps, gowns, and keepsake gifts to help families honor and celebrate their students' achievements. You can find the list of all our 2018 reviews in the sidebar, or use the tag TOS Homeschool Crew Review. 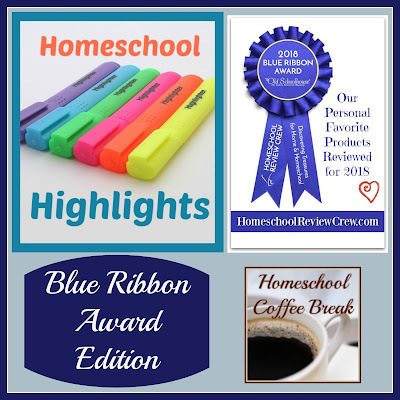 Visit the Homeschool Review Crew blog for a collection of Our Personal Favorite Products Reviewed for 2018 to see which reviews other Crew members are highlighting. I recommend . . . 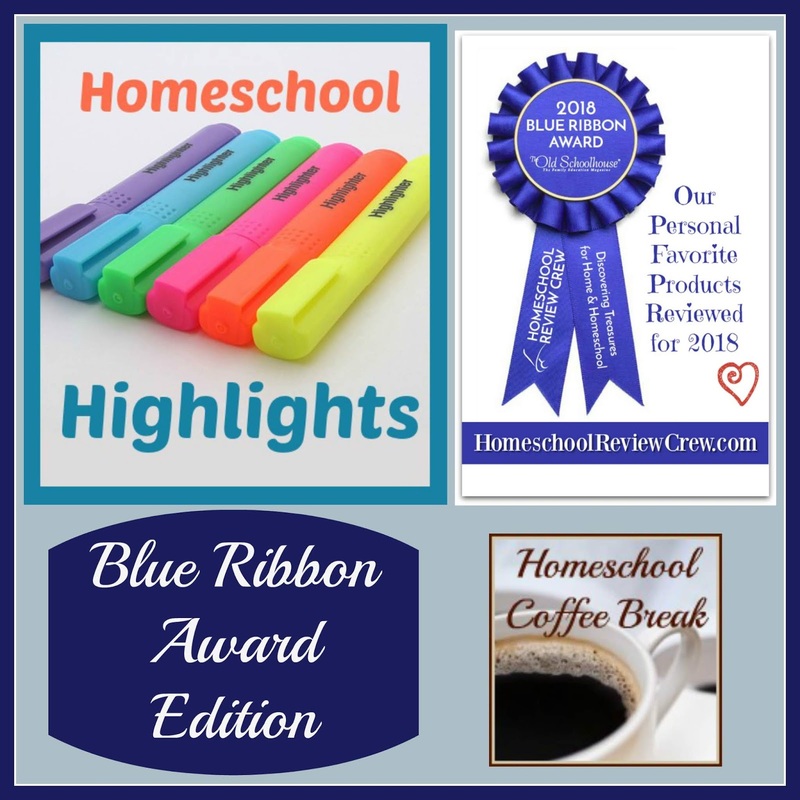 If being able to review great products like these and so many others sounds interesting to you, I suggest you look into joining the Homeschool Review Crew! The Crew is set to expand in 2019, doubling the number of reviewers, so it's a great opportunity. 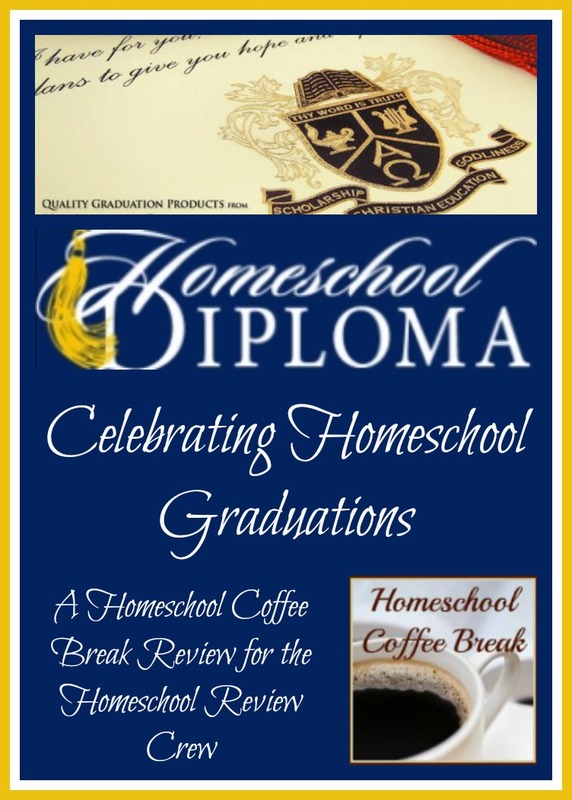 Check out the Homeschool Review Crew blog to find out more. 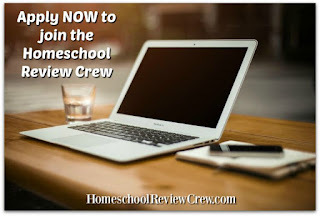 Go take a look at this post on the Crew blog: Homeschool Review Crew Needs You to see the requirements and the link to the application. 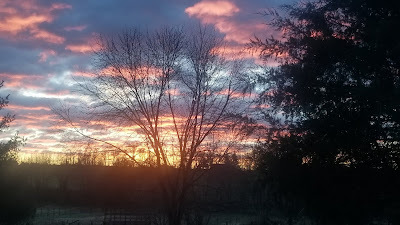 On my blogs last week . . . 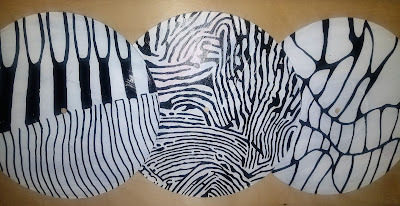 I've been so busy lately that my blogs have been especially quiet! 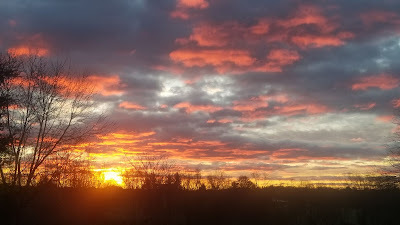 I will be linking up my own posts at the following weekly link parties that you may also be interested in: Weekly Wrap-Up hosted by Weird, Unsocialized Homeschoolers. I'm getting a bit stressed about holiday shopping too and I'm almost done.. but now it's a stressful wait and see and hope and pray they all come in on time. (Since I just ordered 99% of them this morning!). Thanks for sharing! I am going to have to look into that Guitar360. Our kids are learning violin and piano right now, but one of my boys is very interested in the guitar. Sounds like you guys managed to round out your week well! I didn't know Stotts had started an online version, I love his videos! I've been praying over applying to the Review Crew. I use to write for the Homeschool Minute. I'm nervous about meeting requirements though since I found out this past week I may be jumping back into some missions work and speaking engagements in 2019.